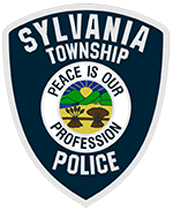 The Sylvania Township Police Department is here to ensure your safety, security, and quality of life, and to provide you with the information you need to protect yourself and your property. Please use the links below to review our current posts of criminal activity, traffic issues, security and safety tips, and current topics of interest. Paul Long joined the Sylvania Township Police Department as Chief on March 19, 2018. He has been a resident of the Sylvania community for the last 31 years and is excited to begin working with the men and women of the Department. He and his wife Lori raised two boys in Sylvania and know how great it is to be part of this wonderful community. Chief Long has a Bachelors degree in Criminal Justice from the University of Toledo. Prior to joining the Sylvania Township Police Department, he served for almost 33 years with the Toledo Police Department retiring at the rank of Captain. His appointment as Chief opened the next chapter in his law enforcement career. Jim was born and raised in northwest Ohio (Clyde). He attended Hocking College in Southeastern Ohio and earned an Associate Degree. Before starting his employment with Sylvania Township in 1996 he worked at 3 other police departments. 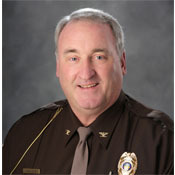 During his time of employment with Sylvania Township he has served as a patrol officer and detective before being promoted to Deputy Chief. He is married and has two children. When he isn’t working he enjoys snow skiing, scuba diving, hiking and sports, especially hockey and baseball.